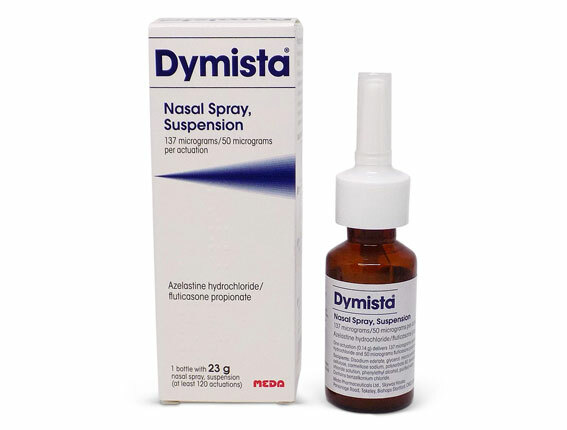 Dymista Nasal Spray is used to relieve symptoms cause by allergies and hayfever. It contains azelastine hydrochloride and fluticasone propionate, to both block histamines and reduce inflammation. Do you use any of the following medicines? Are you currently suffering from, or have you a history of, any of the following conditions? Use ONE spray twice daily into each nostril.